I admit I drink protein shakes for breakfast, pretty much 5 days a week. There are a few reasons for this. 1) I fear I don't get enough protein in my day and I think it is important to start your day with some. 2) I go into work for 7:30 and I really don't give myself enough time to stop and eat. 3) I have learned to like them, even though they may look thick and chalky. Some days I wish I had more time to make breakfast and by breakfast I don't mean cereal. I mean pancakes, waffles and stratas. I am never worried about my egg intake I eat a lot of those, mostly hard boiled. Most days there just isn't time or the timing is off. On the weekend when I would want to make them, my husband is usually up and eating before me because I am working out and I would feel bad making waffles just for me. 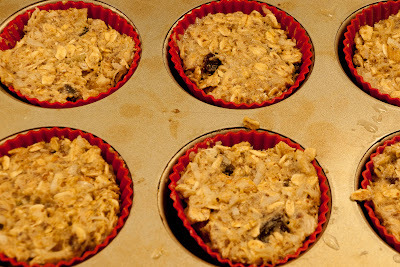 I did however decide to make myself a little breakfast bar, which I turned into muffin bites. 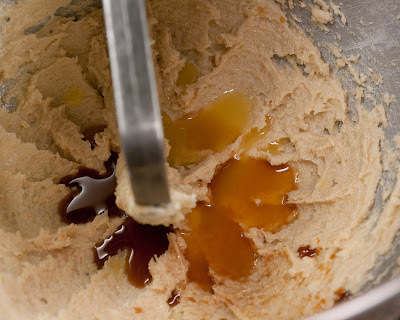 These bites also use one of my favorite ingredients - quinoa. Not the whole grain however, quinoa flour. If you have never used this before quinoa flour has a very distinct taste and smell so I recommend you never use it as the only flour in the recipe. If you need to remain gluten free, use a brown rice or gluten free all purpose. I once made a cake with quinoa flour and threw it out because I thought it was bad. Lesson learned. 1) Preheat the oven to 350F. 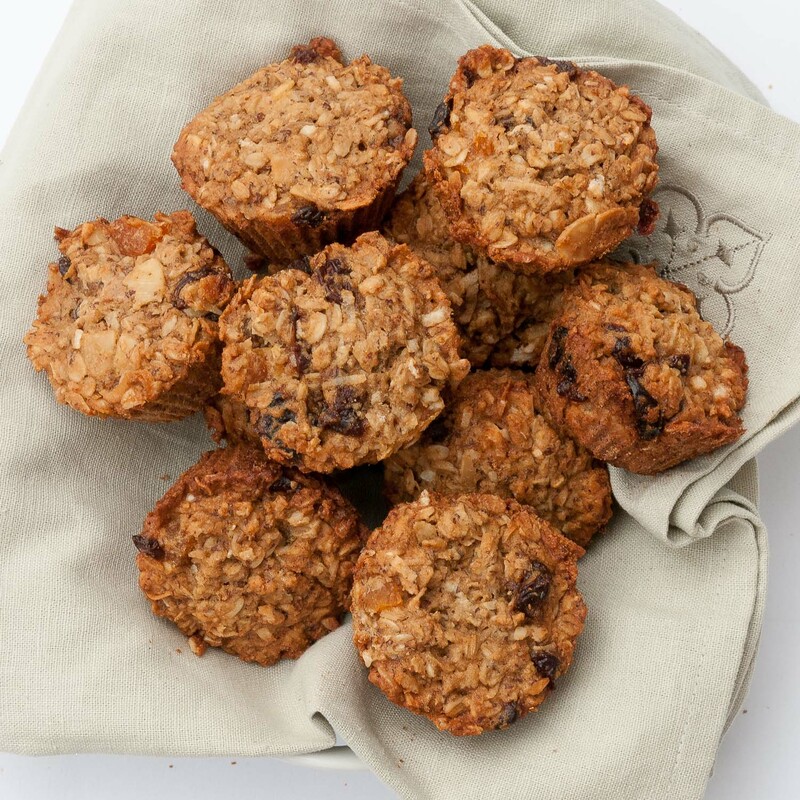 Toast the almonds on a baking sheet/stoneware for about 10-15 minutes, until fragrant and lightly browned. Line two muffin tins with silicon muffin cups. 2) In your mixer bowl or a large bowl, cream together the butter and sugar. 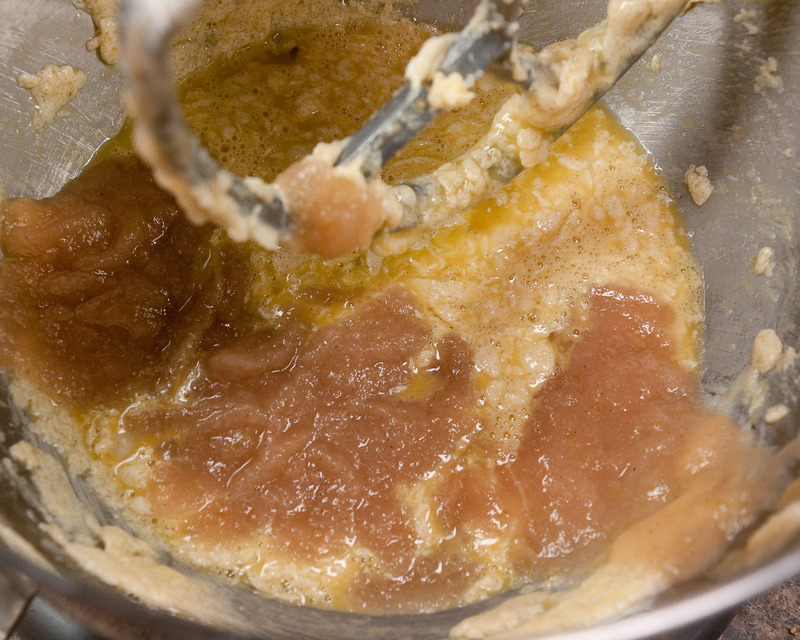 Add orange juice, vanilla and eggs and mix until fully combined. 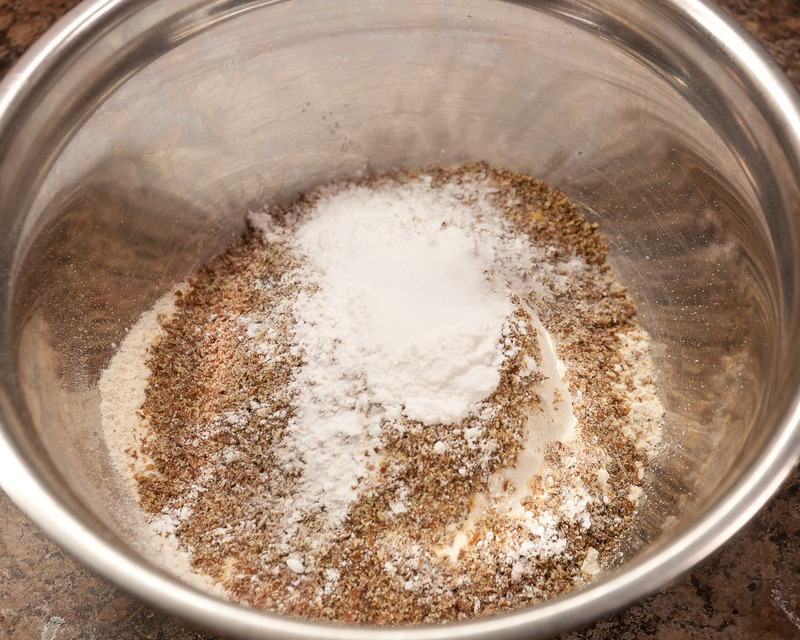 4) In a medium bowl, mix together both flours, flax, baking powder, soda, and salt. Add this mixture to the wet mixture and beat to combine. 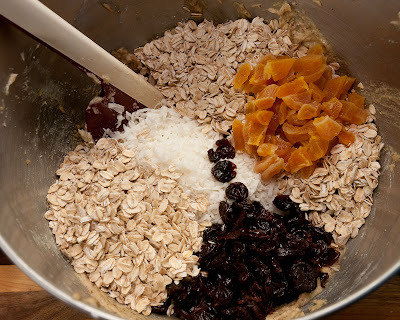 5) Add oats, almonds, cherries, coconut and apricots and stir to fully combine. Make sure everything is well incorporated. Chill the mixture in the freezer for 30 minutes. 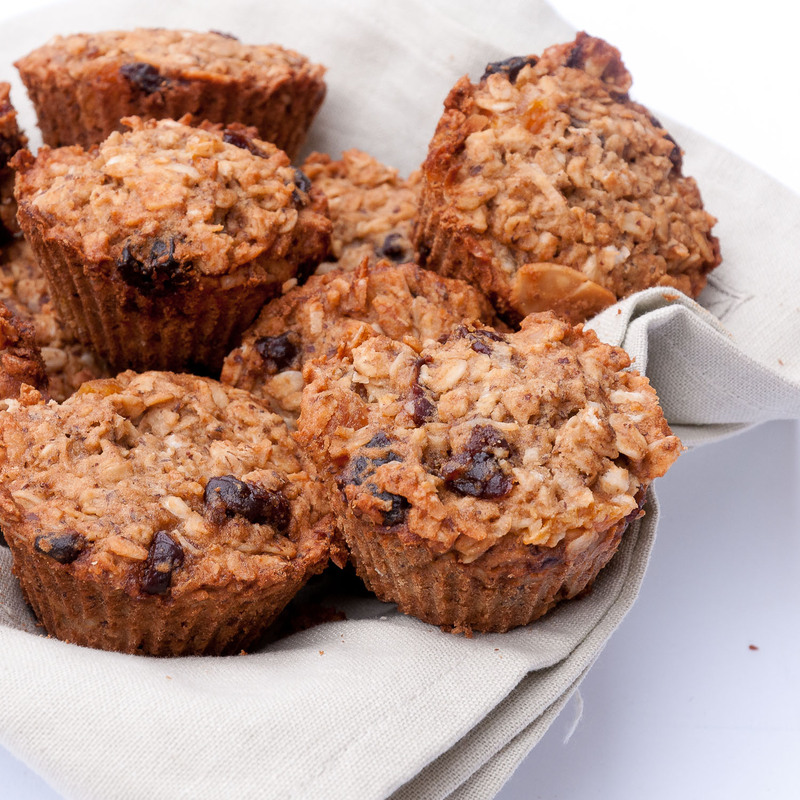 These are a perfect little snack with your morning coffee, a easy breakfast addition to feed your holiday guests or just take two for breakfast on the run. They are packed with fiber and fruit to keep you full all morning. I love dried fruit and oatmeal so these just called my name so easily. Any dried fruit lovers out there? 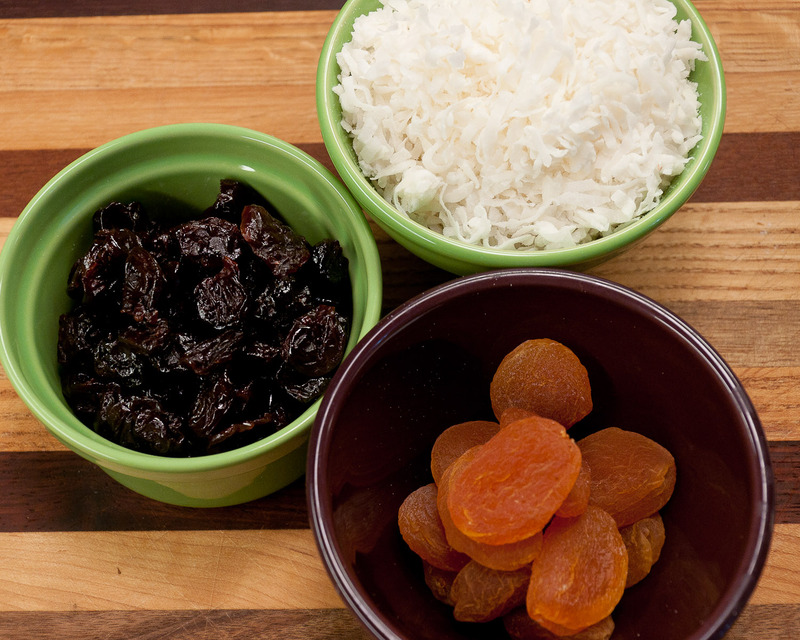 Cherries are my favorite, but you could use other dried fruit or nuts if you wanted.